Give the gift of eelgrass. The holiday season is upon us and the spirit of giving is in the air. 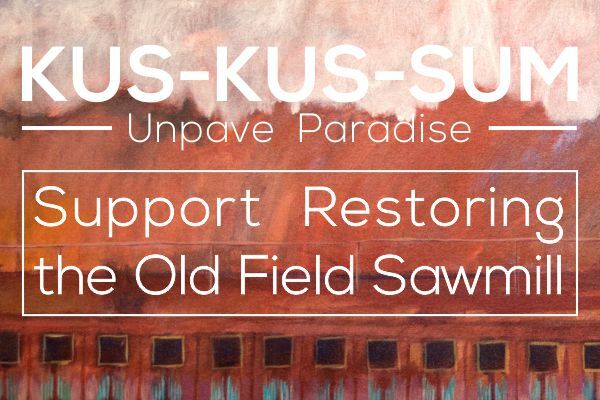 If you are looking for some “green” gifts this season please consider the array of local art from our Keeping It Living Collection; all proceeds go towards the protection and restoration of the K’ómoks Estuary. Your contribution could be enough to cover planting a square meter eelgrass or more – allowing you to give the gift of eelgrass and artwork at the same time. See our chart below for approximate eelgrass and salt marsh planting costs. Salt marsh planting requires more effort, time and money in comparison to eelgrass planting as gravel islands need to be built at specific elevations to create the conditions that the salt marsh plants require. In some cases invasive plant species such as Spartina also need to be removed. Images are available as art cards, posters, limited edition prints and limited edition canvas giclees. You may have noticed that we have changed our “Donate” button to an “Invest” button. This is because the initiatives that Project Watershed undertakes directly improve the health, resilience and productivity of our local environment. We are investing our time, energy and money into the growing and maintaining the blue-green infrastructure of today for tomorrow and for generations to come. These natural assets, unlike built/grey infrastructure, gain value over time. 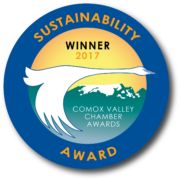 When you contribute financially/donate to Project Watershed you are investing with us in the Comox Valley. If your not looking for an artwork you can still contribute to our work on either a monthly or one time basis as an individual or business. Click the “Invest” button for more information.